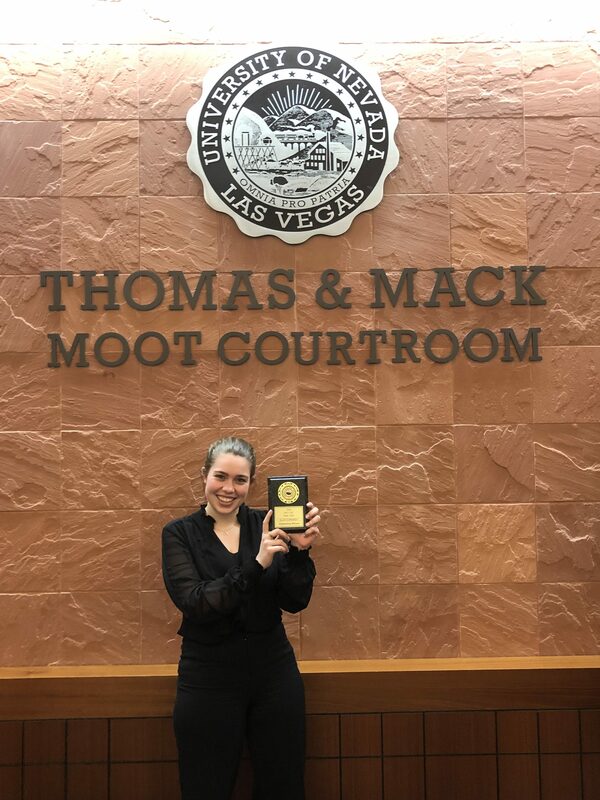 Illinois State University senior Paige Honegger was named an outstanding witness at the Rebel Trojan Invitational Mock Trial Tournament co-hosted by the University of Las Vegas and the University of California held the final weekend of January. 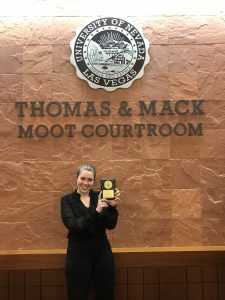 Thirty-one teams competed in this popular tournament held at the UNLV School of Law. The ISU team won two ballots against Macalester College, split a decision in their round against the University of California-San Diego, and lost both ballots against teams from UCLA and the University of California-Santa Barbara. Honegger, a political science and public relations double major, portrayed an expert witness in a complicated negligence case. Her reaction to receiving the award was one of gratitude and disbelief. Pomona College, the only undefeated team, won the tournament. Illinois State finished the tournament at 21st place. Students interested in the mock trial team should contact Professor McClure at temcclu@ilstu.edu.